Last October, scientists in California sequenced the DNA for the “type H” botulinum toxin. One gram of this toxin would be sufficient to kill half a billion people, making it the deadliest substance yet discovered – with no antidote. The DNA sequence was not placed on public databases, marking the first time genetic code has been withheld from the public over security concerns. The machines that make this resurrection possible serve many legitimate research purposes. Instead of painstakingly manipulating DNA in a local lab, scientists can get made-to-order sequences from a variety of DNA synthesis companies from around the world. Alternatively, if they have some extra cash and desk space, they could get one of the machines right here on Ebay. Access to such a machine gives scientists a critical edge in many areas of genomics research. But the increasing accessibility to this technology raises concerns about the “dual-use” nature of it as an unprecedented weapon. President Obama was worried enough to commission a report on the safety of synthetic biology, while volunteers have created software to detect malicious DNA sequences before an unsuspecting company prints them out. For the first time in human history, knowledge that is discovered has a reasonable chance of never being forgotten. And while this would normally be a great thing, it also creates a ratchet effect with dangerous information – once a bit of malicious code is online, the whole world can dissect and modify it. We saw this with the infamous Stuxnet virus which appeared in 2010 – an elegantly created computer virus designed to hack Iranian nuclear labs and manipulate centrifuges to the point of breaking them. While this may have been a strategic boon for Israel and the United States, we now must contend with the availability of Stuxnet’s source code, which was later posted to Github. The genius mechanisms the virus used to bypass security systems are now available to the world for delivery of alternative cyber payloads. 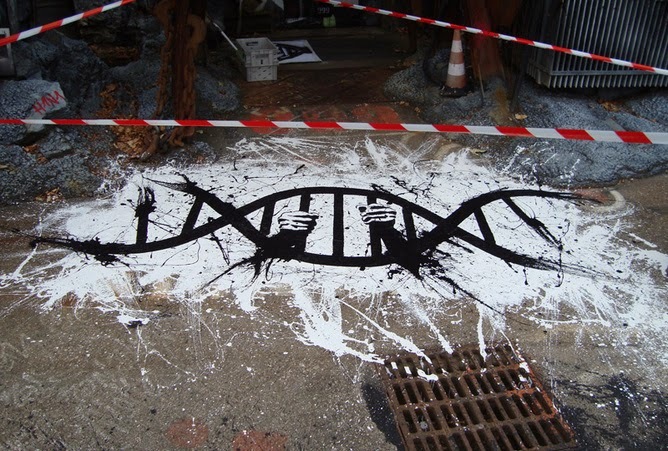 In 2004, George Church from Harvard Medical School argued in favour of a number of US regulations in his “Synthetic Biohazard Non-Proliferation Proposal.” First and foremost, he proposed that the DNA synthesis machines should be tracked and only available to licensed companies, nonprofits, or government entities. These licensed bodies should in turn be subject to strict regulations and frequent safety testing. But the stability of Church’s proposal is compromised from the difficulties of international enforcement – should any country reject these regulations, the danger still persists. In the case of synthetic pathogens, our probing could indeed make things much worse if we’re not careful.